Woolworths plans to meet with a small business owner who has accused the retailer of copying her product idea. The retailer has also said it is taking the “allegation extremely seriously”. In a blog published on January 7, founder and product designer of Ubuntu Baba baby carriers, Shannon McLaughlin detailed how she discovered the “big corporate” copied her product. “It’s 16 December 2018 and I’ve just found out that Woolworths has shamelessly copied the complete design and concept of the baby carrier that I have put my heart and soul into for the last four years of my life,” McLaughlin wrote. In her blog, McLaughlin alleges that Woolworths not only stole her product names but also the design and colours of the carriers, and designated terms “Stage 1 carrier” and “Stage 2 carrier” which are specific to the product offering, as Google Adword keywords so that Woolworths adverts could pop up on Google in searches. “I’m all for Woolworths selling affordable, ergonomic baby carriers, and I’m glad my little business has ‘inspired’ them, but there is a big difference in taking inspiration and blatantly expropriating another’s product – the way they have gone about this is nothing less than wrong,” she wrote. Woolworths in turn said that it has a meeting scheduled with the McLaughlin on Wednesday to discuss the matter. “We are taking this allegation extremely seriously and believe it wouldn’t be appropriate to discuss the issue publicly before chatting to Ubuntu Baba first,” a spokesperson said in an emailed response to Fin24. MacLaughlin further claimed that Woolworths manages to sell the carriers for a third of the Ubuntu Baba price because the retailer makes use of manufacturers in China. “We are proudly South African manufacturers, trying to make a difference by putting money back into the South African economy, instead of getting it made for a fraction of the price in China,” she wrote. McLaughlin also said that after reviewing online order receipts, Ubuntu Baba discovered that Woolworths Head Office had purchased one of the Stage 2 carriers in June 2017 and a Stage 1 carrier in September 2017. “For a company whose values include ‘helping local enterprises to grow, and contributing to a prosperous, secure future for our country’, Woolworths – I’d say you have some explaining to do,” she wrote. In the concluding remarks of the blog McLaughlin expressed an interest in working with Woolworths. 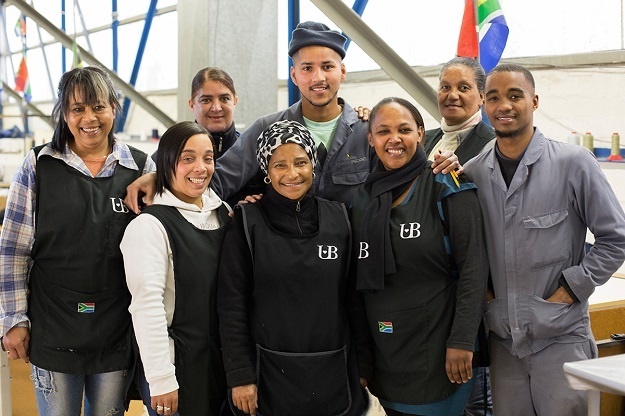 “As a South African manufacturer, we’d be happy to consider working together with Woolworths and ‘contribute to a prosperous, secure future for our country’ by manufacturing a local baby carrier option on your behalf,” the blog read. She also said that she hopes that this matter does not reach a point where she would have to take legal action against Woolworths. This is not the first time Woolworths has been accused of copying a product. In 2012 Woolworths withdrew a softdrink range, after a KwaZulu-Natal based company Frankies lodged a complaint that the retailer copied its product line. The Advertising Standards Authority ruled in favour of Frankies and Woolworths had to remove the phrase “Good Old Fashioned” from its vintage soda range, Fin24 reported previously. In 2013, Woolworths again was caught in the crosshairs when artist, illustrator and designer Euodia Roets claimed the retailer copied her hummingbird design for its scatter cushions. Roets had met with Woolworths representatives months prior only to discover the scatter cushion design in one of its stores. Woolworths’s defense at the time was that it had signed off the hummingbird design for scatter cushions in November 2012, and had met with Roets who they sought as a potential supplier, but the agreement did not pan out, Fin24 reported previously. Roets had also admitted her hummingbird design was painted from a photograph by RW Scott. Brett Kaplan, managing director of clothing and general merchandise at Woolworths told Fin24 at the time, that the use of birds and hummingbirds was part of a global trend, which inspired the retailer’s design.